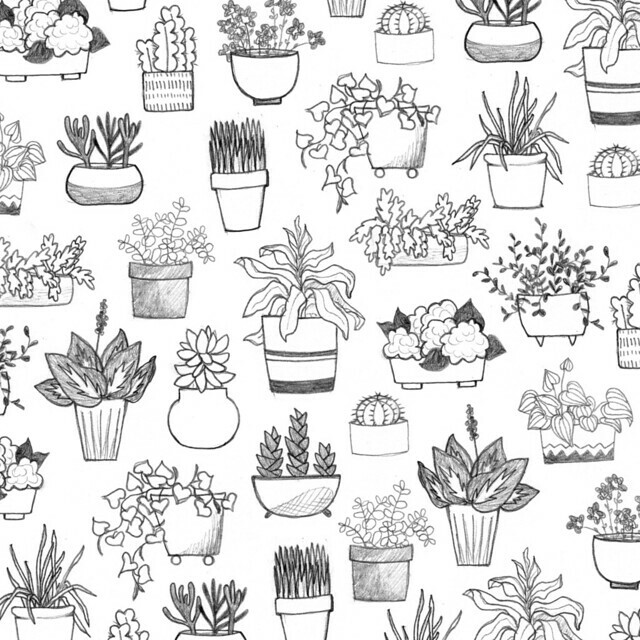 I’m happy to say that I’ve kept up with my daily pattern design challenge, but haven’t found the time to write intro or recap posts here over the last few months. I continued my trend of using different mediums in March, April and May. For March I actually created two patterns a day, but they were all very small. I drew the patterns in little zine style books that I made from one sheet of paper. It was fun to explore a lot of different ideas this month. 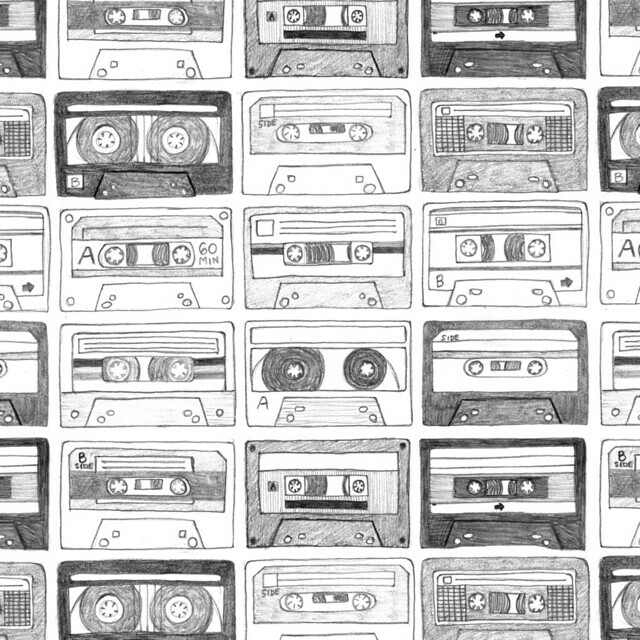 See all the patterns from March on Flickr. In April I created a painting everyday for the DE Fun a Day, an art show that is held yearly where artist from (or near) Delaware create “something-a-day”. Since I was already doing a pattern a day, my friend Kati (who just so happened to also be the organizer for DE Fun a Day) invited me to participate. I jumped at the chance and decided to create an 8x8in painting each day. On instagram I shared mostly sketches and ideas for the paintings, while saving the actual paintings for the show. I sketched for Day 1’s pattern with marker, and the final painting turned out quite different, although I used the colors and some of the shapes in the different composition. 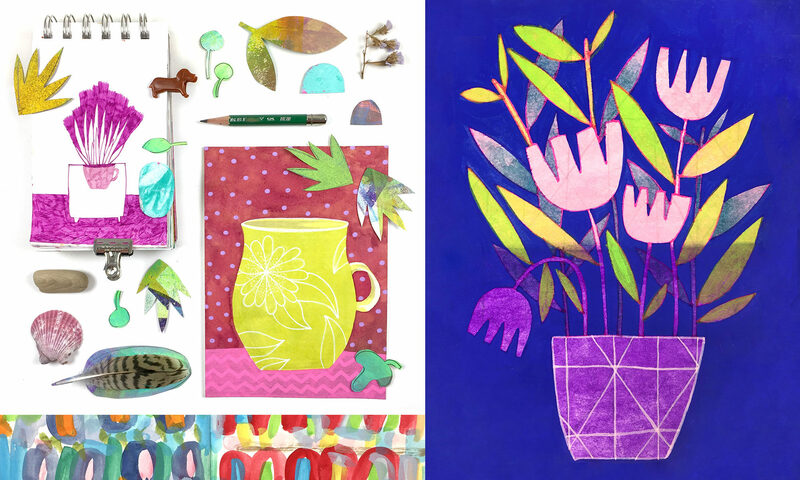 See all the patterns and some sketches from April on Flickr. April’s challenge was quite a lot of work, so initially I thought I’d go easy on myself and do simple pencil sketches. Then Rhianna Wurman’s (@ellolovey on instagram) Doodle a Day challenge caught my eye again (the last time I participated was in August), and I decided to combine the two challenges, using her daily prompts to come up with ideas for patterns! So I ended up with a more challenging task, but I had a lot of fun with it, and got to draw a lot of cute things! 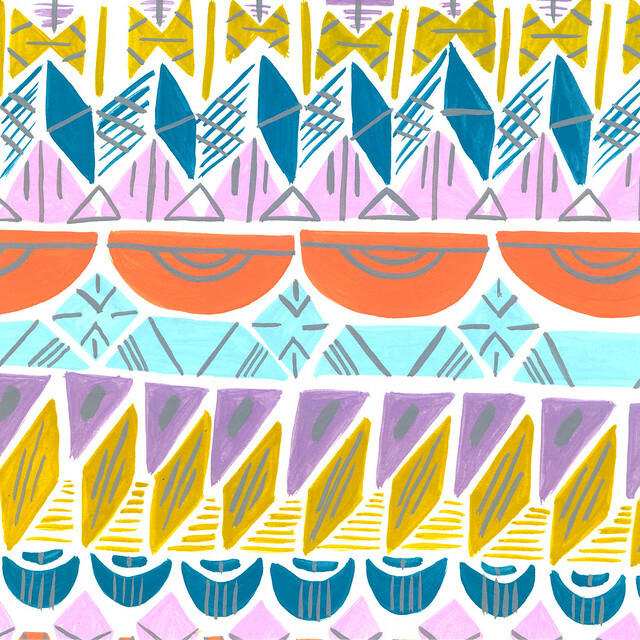 See more patterns from May on Flickr. In June I’ll be creating repeat patterns. I’ll doodle shapes to use for the pattern each day, then digitally color and create the pattern in the computer. I’ve done a number of repeat patterns in the past, but not specifically as part of my daily challenge, so this should be a good chance to practice. If you’re feeling inclined, you’re always welcome to join me and tag your patterns with #patternadayjun or #letsmakepatterns. Looking forward to another month of patterns. It’s pretty cool to think that in just 3 months I’ll have completed an entire year!